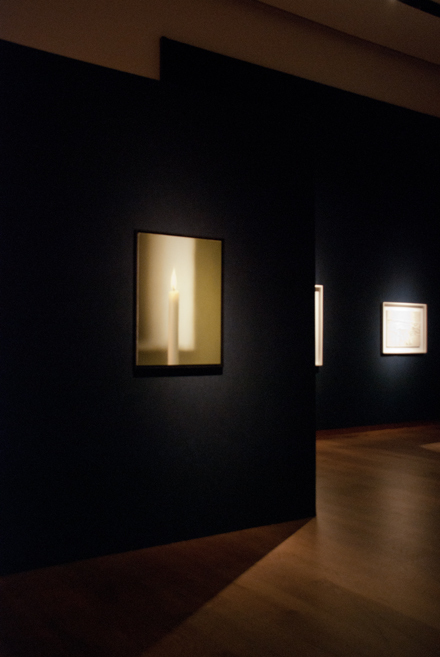 Gerhard Richter, Kerze (Candle), 1982 (est. $9.3-13.9 million, realized $16.5 million). All photos on site for Art Observed by Caroline Claisse. 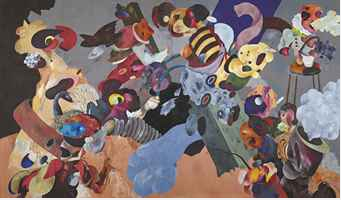 Christie’s Post War and Contemporary Art sale on Friday evening in London ended the week’s auction blitz with a bang. The sale followed Phillips and Sotheby’s auctions in the same category that both failed to beat low presale estimates. 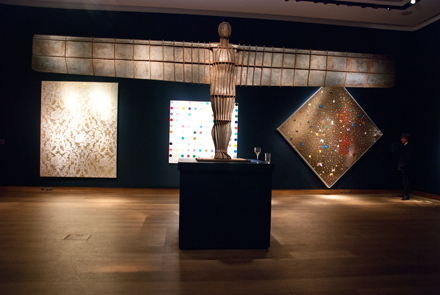 The Christie’s sale was comprised of 47 lots that brought in $60 million, just shy of the $62 million high estimate. 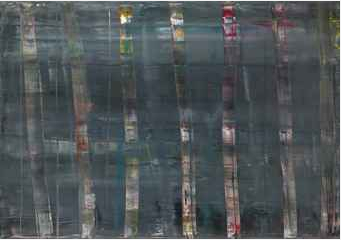 Top honors went to the evening’s cover lot- Gerhard Richter‘s Kerze – which was expected to bring in as much as $13.9 million. The artist made headlines earlier this month when he characterized the art market as “impossible to understand” and “daft” during the press launch of his retrospective currently on view at Tate Modern. If anything, his comments seemed to have whet the already healthy appetite for his work, as Kerze sold for $16.5 million and set a record for the artist at auction. The candle paintings, in which the artist depicts lighted candles in his signature photorealistic style, are the most sought after works in the painter’s oeuvre. Christie’s Jussi Pylkkanen at the rostrum. Richter also secured the second highest earning lot of the evening with Abstraktes Bild, which sold for $5.7 million against a high estimate of $5.3 million. The painting last sold at Christie’s New York in 2002 for $1.05 million. Six other artist records were set. Bidders chased after Antony Gormley‘s life size maquette of Angel of the North, one of England’s most recognizable pieces of public art. The work is number five in an edition of five. The third maquette in the series sold at Sotheby’s London in July 2008 for $4.6 million. Sculpture fared well at the evening sale. Martin Kippenberger‘s squiggly lamp post carried a high estimate of $530,000 and was knocked down at $2.1 million, reportedly to former head of Christie’s Contemporary art department Philippe Segalot. The piece was acquired directly from the artist by the selling party. 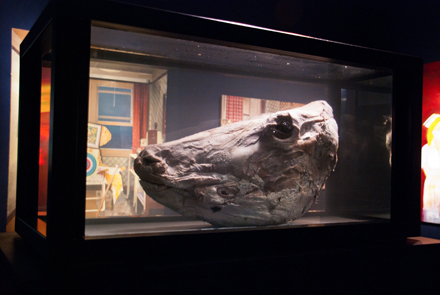 A bull’s head in formaldehyde by Damien Hirst sold for $1.6 million against a high estimate of $1.1 million. Ron Mueck‘s hyper-real sculpture of a crouched man holding a sweater over his head sold for $947,000 against a high estimate of $900,000. The work carried a third party guarantee. The artist record was also set for Iraqi-born Ahmed Alsoudani, whose work is currently on view in his homeland’s pavillion at the Venice Biennale. The painting on offer Friday evening was executed the year after Alsoudani graduated from Yale’s MFA program and carried a high estimate of $540,000. It fetched nearly twice that sum when it was hammered down at $1.1 million (with fees). 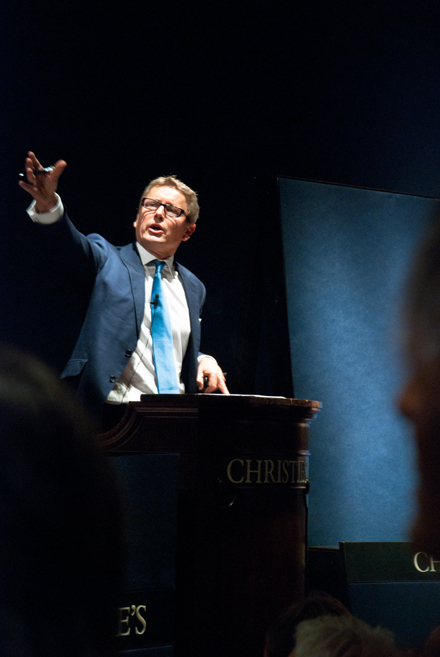 The results of the Christie’s sale proved that there is still energy in the market, despite fever-pitched concerns about the economy on both sides of the pond. All eyes are now on the next round of auctions next month in New York. Check back for a preview of the upcoming sales. 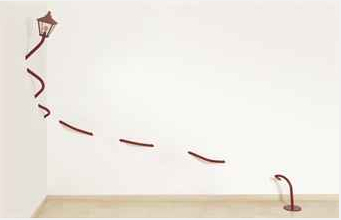 This entry was posted on Sunday, October 16th, 2011 at 11:28 am	and is filed under Art News. You can follow any responses to this entry through the RSS 2.0 feed. You can leave a response, or trackback from your own site.